The Upper Wylye Valley Team Men’s Fellowship breakfast continues to be well attended with about 60 at each event. The breakfasts are held at The George Inn, Longbridge Deverill. It is a good venue with plenty of space; they provide an excellent breakfast with friendly and helpful service. These events give an opportunity to meet new people and for us to share fellowship and prayer at the beginning of each month. A sum of money is collected at each event for a charity of the speaker's choice. The breakfasts start at 8.15. They are normally complete by 9.30. The cost is £12 of which £2 is donated to a charity of the speaker's choice. Please email uwvmfb@gmail.com to register your attendance. Director of Malaby Biogas, the company that has been operating the Bore Hill Farm bio-digester on the outskirts of Warminster since 2012. Local Conservative Member of Parliament. The Chief Executive of the RNLI. 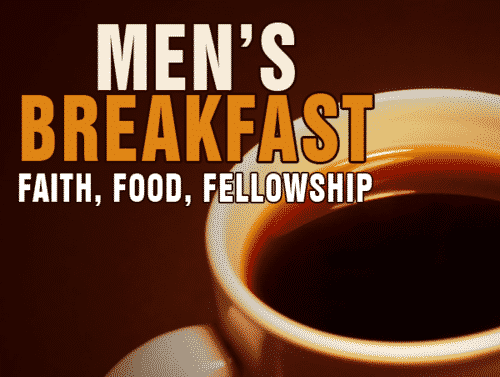 We much look forward to seeing you at these Breakfasts which are lively, fun and a chance for fellowship and friendship.